Siri Elite is a Beautiful modern property located near the Biodiversity Park. 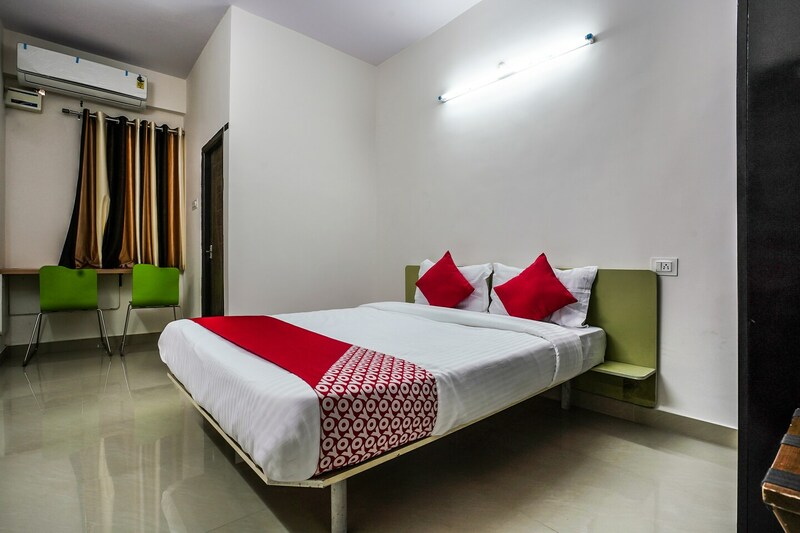 The place offers clean and tidy rooms with good facilities. Free Wi-Fi and power backup make sure that your pleasant stay remains uninterrupted while you keep intouch with your work, friends and family. Catch up with your favorite TV shows while you get comfortable in the queen-sized bed. When you venture outside, try some local as well as international cuisines at The Tilt Bar Republic, Drunkyard and Bombay Sandwich Company. Many other eateries are also located at a walkable distance.